Titus 2:3 3 Older women likewise are to be reverent in behavior, not slanderers or slaves to much wine. They are to teach what is good, 4 and so train the young women to love their husbands and children, 5 to be self-controlled, pure, working at home, kind, and submissive to their own husbands, that the word of God may not be reviled. 1. We want to equip our students for life and godliness. Of course many summer camps make the discipleship of students their primary goal, but we must acknowledge that many do not. Our desire, though, goes beyond seeing that Parkwood students are equipped. We don’t simply want them to be equipped; we want to equip them. Parkwood believes it is the family’s responsibility to equip their students and the church’s responsibility to partner with families in the discipleship of students for life and godliness. We could do that by sending our students to a summer camp, but we prefer to disciple them ourselves by hosting our own summer camp. We are accountable for our students, for our resources, and to our purpose. Accountable to our students, we are committed to pursuing their discipleship and being personally involved in equipping them for life and godliness. Being blessed with resources sufficient to host a camp, we are accountable to use those resources for the glory of God and the equipping of His church, and we believe that providing a quality summer camp that seeks the discipleship of students is a worthy use of those resources. Finally, with the purpose of glorifying God by laboring together for the growth of all believers while going with the gospel to all people, hosting a summer camp is exactly an opportunity to labor together both for growth and for sending. 3. Summer camp is ministry development. As previously acknowledged, quality summer camps no doubt exist, but hosting our own allows us to include ministry development as a significant and strategic element of camp. By hosting our own summer camp, we are actively choosing an avenue for training. Each year we employ interns and summer ministry staff that are trained and developed through the preparation and execution of summer camp. We might see our students discipled if we send them to a quality camp, but if we host our own, then we can disciple our students while employing ministry development through the ministry of conducting camp. 4. Summer camp is leadership development. Summer camp provides us with the opportunity for leadership development at multiple layers. Electing to host our own summer camp places the expectation and responsibility upon pastoral staff to make camp a successful event. Responsibilities that would otherwise be expected of others fall at the feet of our staff. Secondarily, significant weight is placed on interns and summer ministry staff. In a traditional summer camp setting, they may be passive chaperones. In this setting, they are being prepared as leaders. Finally, this context for summer camp extends ministry and leadership development to students. Leadership development remains a strategic focus as our leadership intimately interacts with our students. Summer camp is immediately an opportunity to communicate expectation for leadership, identify leadership potential, and begin or continue leadership development. 5. Summer camp is fun. We enjoy summer camp. We enjoy being together, doing ministry together, and modeling community. The fault of a poor summer camp is likely that too much value is placed on fun and entertaining students to the neglect of discipleship and the training of students in godliness. This fault does not mean, though, that we cannot do both. We believe that discipleship and the training of students in godliness must remain the highest priority, but a proper focus on discipleship and training need not eliminate enjoyment. While summer camp is a lot of work, hosting our own camp is a lot of fun. And it’s been a fun week! 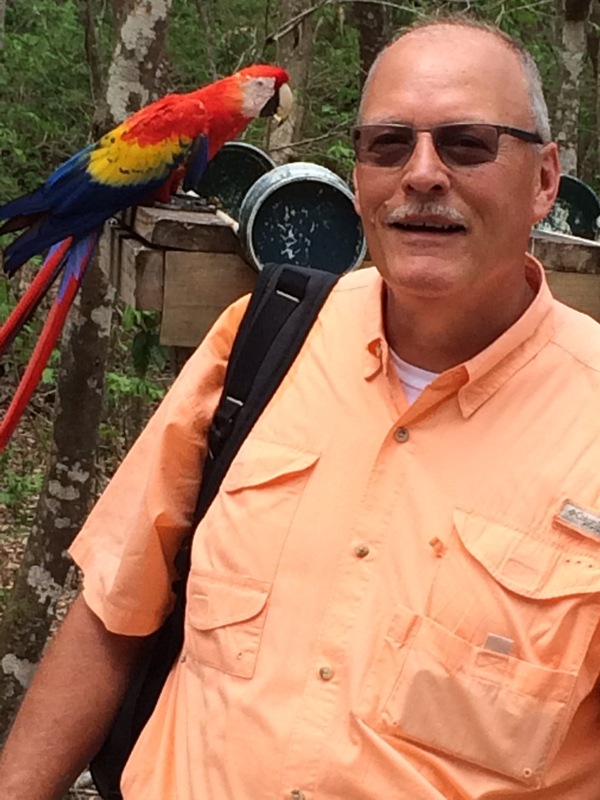 Meet David Crane, Parkwood’s Global Disciple-Making Mobilizer. David Crane was born in El Paso, Texas and was raised in Cherryville, North Carolina. David is married to his beautiful wife Renee, and they are blessed with three children: Thomas, Zebulon and Mary. Zeb is a writer and lives in Charlotte. Mary is also single and lives in Nashville, Tennessee where she is a Vet-Tech. Thomas and his wife Leslie are serving the gospel internationally, and they have three children: Judah (5), Sofia (2), and Sarah Renee (born Jan 1, 2016). The purpose of Parkwood is to glorify God by laboring together for the growth of all believers while going with the gospel to all people(s). It is therefore our desire to increase gospel witness and effectiveness in our community and among the nations. To this end, Parkwood’s missions effort is developing into a more focused two-pronged approach: Local Disciple-Making and Global Disciple-Making. Enter David Crane. David will join the Global Disciple-Making office as a mobilizer to offer consultation and guidance from a wealth of knowledge and experience. Crane holds degrees from Columbia Bible College and Mid-America Baptist Theological Seminary. He pastored Beulah Baptist Church in Virginia before serving with the IMB for more than twenty years. From 1993 to 2015, David and Renee served in Africa, where the Father called tens of thousands to Himself. He has served as a Personalizer and as a teacher at the Kenya Baptist Theological College. Crane was also a strategic leader for East Africa, coaching and supervising field personnel in five countries. I encourage you to make David and Renee feel a welcomed part of the faith family at Parkwood, and take every opportunity to get to know them. This wonderful couple is a great addition to our leadership as Parkwood seeks to make disciples of all nations, baptizing and teaching everyone that we may present everyone mature in Christ (Matthew 28:18-29, Colossians 1:28).